Are you Rocky’s next Miss Showgirl or Rural Ambassador? Rockhampton Regional Council are looking for locals to become the faces of this year's Rockhampton Agricultural Show. The Rockhampton Agricultural Show Committee is urging all Rockhampton Region residents to register their interest to be part of the Miss Showgirl and Rural Ambassador competitions. Rockhampton Region Community Services Committee Chair Councillor Rose Swadling said each award highlights the importance of young people in rural and regional Queensland. “We know there are thousands of young Central Queenslanders proud of their upbringing and surrounds that would do a fantastic job in representing rural and regional Australia, we just need them to sign up,” Cr Swadling said. “The Miss Showgirl and Rural Ambassador Awards are iconic to the Rockhampton Agricultural Show, and provide a wonderful opportunity for our region’s youth to improve their skills in leadership, enhance their confidence and meet other young minds with the same interests. “The winner of the Miss Showgirl Award will also have the opportunity to win a fully expenses paid trip to San Antonio, Texas to attend the IAFE Champions of Chance Conference in December 2019. Rockhampton Agricultural Show Committee member Councillor Ellen Smith said excitement was really starting to build ahead of June’s event. “We are so pleased to be getting everything back on one site for our community, and to highlight all of the wonderful things our region has to offer,” Cr Smith said. “Please get your applications in for our Miss Showgirl and Rural Ambassador Awards – there are some amazing opportunities available. Miss Showgirl Award: females aged between 18 to 28, unmarried, live in the Rockhampton Regional Area, and have a great personality with general knowledge about the Rockhampton Agricultural Show. Rural Ambassador Award: male or female aged between 20 to 30, live in the Rockhampton Regional Area, have a strong commitment to the rural industries and an involvement and passion for the Agricultural Show movement. The Rockhampton Agricultural Show would like to thank its Miss Showgirl Award and Rural Ambassador Award sponsors Stockland Rockhampton and Frenchville Sports Club. 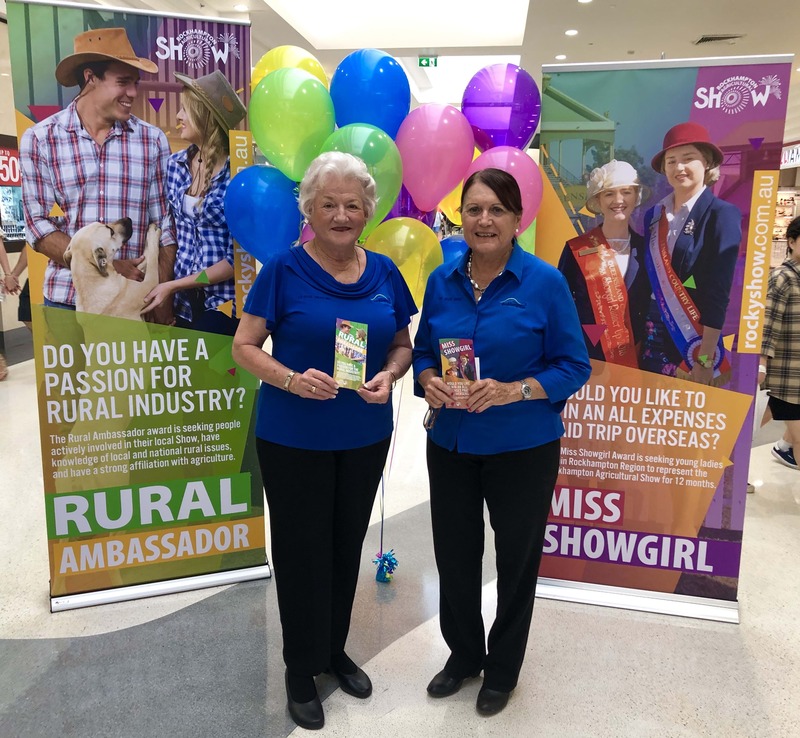 An information session on the Miss Showgirl and Rural Ambassador Awards will take place at Stockland Rockhampton on Saturday 16 February.